“Well-managed” farmland and other working “open-spaces” should not be taxed when they provide ecosystem services exceeding the cost of public services for the land. Well managed farmland helps produce clean water. 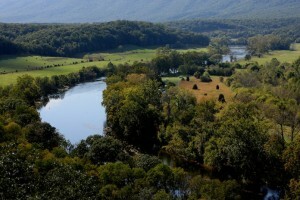 This is the South Fork of the Shenandoah River. Photo by Beverly Pearce of The Downstream Project. 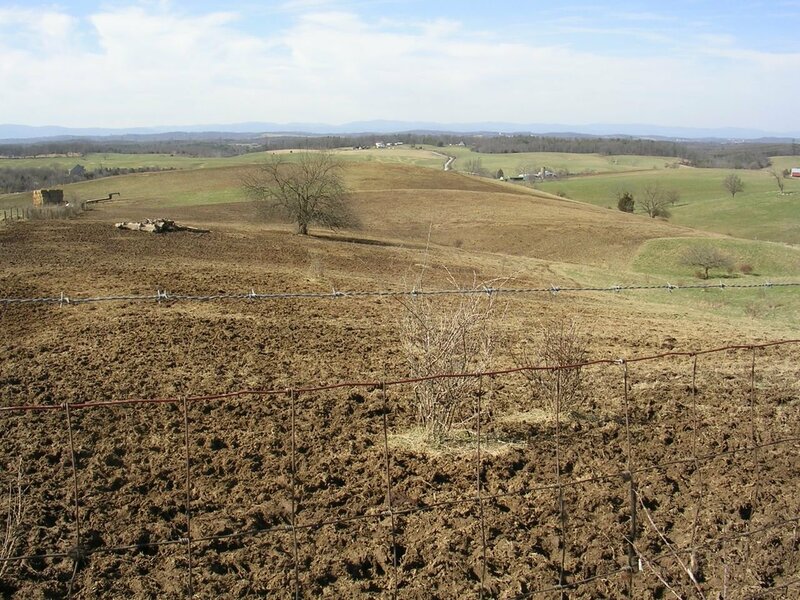 In many states including Virginia, local governments have a special way of collecting revenue from their constituents that have farmland or “open-space” called “land-use” taxation. It’s a method of calculating a tax on the land, based on how it’s used and the productivity of the soil. It is very beneficial for farmers because it taxes them for their pasture, cropland, and forest at a very modest rate. Many think this is a tax break for farmers but I believe these land uses, if managed well, shouldn’t be taxed at all. These landowners are still taxed, just like everyone else for their residences, barns, outbuildings, tenant houses etc. The “open-space” I am referring to is only the land that is used for pasture, cropland, forest or other working landscapes that provide ecosystem services. Now, just for the record, there are “open-spaces” receiving “land-use” taxes that, in my opinion, shouldn’t be – those lands that have been retired from food and fiber production and have morphed into large manicured lawns with big houses. Large lot residences are most often the costliest of all land uses because they fail to pay the true cost of the public services they demand. There are countless “cost of community services” studies that prove this. For working landscapes with pasture, cropland, forests and wildlife habitat, I would like to offer an alternative to “land-use” taxation: not taxing these working lands at all. In fact, the landowners should be receiving credit for all the ecosystem services that these lands provide to the rest of us. First, let me define “well-managed”. In this case, I am talking about “open-spaces” that are performing several functions. First, these landscapes are building healthy soil; it’s not eroding and washing into streams. Secondly, Nutrient management is rigidly applied so that nutrients are not running off into streams or seeping into the groundwater. Next, functioning riparian buffers exist along streams and there are wildlife habitats. In other words, the farm or other land meets what USDA calls a “Total Resource Management Plan”. There are a lot of “well-managed” farms out there. Granted there are some that don’t come close but hear me out. This is poorly managed pasture and does not provide the ecosystem services listed in the article. The soil erosion and polluted runoff from this field cause water pollution. “Well-managed” farms provide far more ecosystem services to the public than they receive in public services. The soil is the regulator of the entire hydrologic cycle. It’s the carbon filter for our groundwater. Without this groundwater recharge area, we would have no groundwater; it would mostly just runoff. How much is that worth? Our current economy does not factor in most ecosystem services. Healthy soil can also store a lot of carbon: Many sources say at least twice what plants can sequester. Farmland provides wildlife habitat and pollinator corridors. Farms with riparian forest buffers supply clean water downstream. Streams with native trees along their banks are much more capable of detoxifying themselves than streams with no trees. 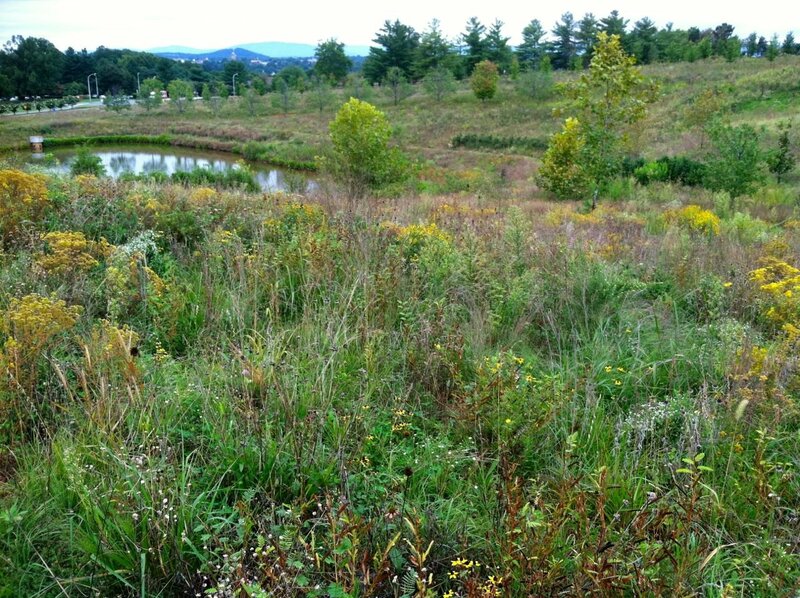 Native meadow at Martha Jefferson Hospital in Charlottesville, Virginia. This meadow functions as a buffer for the stream and a pollinator corridor. This working landscape should not be taxed. Here in the Shenandoah Valley farmland provides amazing viewsheds that help drive the tourist industry. What are all these ecosystem services worth? I purport that it is more than that land receives from the locality in the form of services. Do the cows get on the school bus? Does the land require garbage pickup or police protection? Does the land require public roads? Does the land require public water and sewer? On the contrary, that land is providing us with water. The fence along the stream and that watering trough for the cows is a far cheaper sewage treatment plant than the one that would have to be built if the farmer sold all that land for a housing development. Think of the development costs to taxpayers if the farmland was developed. The taxpayers would have to pay for a new school, an upgrade for the sewage treatment plant, pipeline for water and sewer, landfill space and on and on. If they have “well-managed” farmland let society pay them for the ecosystem services they are providing. If they don’t have a well-managed farm let’s help them get there. And for those few farmers that don’t want to have a “well-managed” farm let them pay the price of their “land-use”. Hugh Hammond Bennett, father of soil conservation in America. 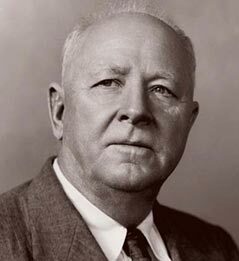 Hugh Hammond Bennett, the father of soil conservation in America said, “Society as a whole benefits from good land use; therefore, society as a whole should help pay for it”. Well managed land provides ecosystem services including clean water, carbon sequestration, wildlife habitat and streams capable of detoxifying themselves. If the land is performing these vital environmental tasks why should the landowner be taxed for them? When all our land is “well managed” we will no longer have “dead zones” in the Chesapeake Bay or the Gulf of Mexico. Our streams will be healthier, the Chesapeake Bay will be restored and we will have a more thriving economy. Bobby – excellent article. I totally agree. Do you think local authorities would consider a proposal that would not tax well-managed farms? Thanks for taking the time to read it Joe. It was a little long. I testified before a Va. legislative sub committee on forestry issues once. The question being asked was: How do we keep private forestland forested? My answer at the time hadn’t been heard before, but is being heard more every day, like here… I paraphrase – We need to quantify or put a dollar and cents value on the ecological services being provided by a properly managed forest and give private forest landowners a real incentive to keep their land forested. I went on to list those ecological services and of course promote my approach to Restorative Forestry, reaching in my pocket and pulling out my wallet, pointing to it and saying ‘this is the most environmentally sensitive part of everyone’. I submit that Restorative Forestry will make the most money over the long term and enhance ecological services. Then in the end, to not cause major resentment from industrial forestry interests, I mentioned that I still log with horses and promote animal powered techniques. Phew, they were so relieved to know that I wasn’t going to take over all the private forestland in Virginia, and dismiss the approach in that the work was to labor intensive, (which I read and understand to be job creational) I think the point today is that I don’t want to manage all the private forestland in Virginia. I just want to help man – age the best forestland we have left. Jason, thanks for testifying and keeping up the “good fight”. Thanks also for your kind words and encouragement. I agree. I wish more people would see the value in ecosystem services to human survival. Taxing land uses becomes especially pertinent now that we are coming up on the 2016 presidential election. Well managed farmland builds soil health, provides clean air and water, sequesters atmospheric carbon, provides food, and incurs less costs pf community services when compared to land in residential or commercial use. We need a certain percentage of land to stay in well managed agricultural use to survive the anthropogenic effect on this planet. Asa, good to hear from you! You get an A plus! Bobby- this is a very interesting point and a great idea. I see that you defined “well-managed,” but you know how the gov’t is… how would we measure what lands are well-managed ‘enough’ to get the tax exemption? Natalie, thanks for stopping in. Click on that link where I stated “Total Resource Conservation Plan”. It will take you to the NRCS website for the definition. NRCS currently certifies field people in conservation planning. We could have private, third party contractors that could certify “well-managed”. Great article with logical points as to the relationship of taxation to the land. It would be good if our local elected representatives would understand the points and act accordingly. For those seeking office, this topic would be an excellent debate issue. As usual, Bobby, your innovative thinking is appreciated. You present an idea worth further discussion with both landowners and the powers that be. Interesting concept but I wonder at who would be the arbiter of “well managed”. I also would point out that your picture of “mob-grazing” is incorrectly labeled. What is pictured is a winter pasture under what would be call “continual graze” and is indeed a mismanaged scenario. Mob grazing is a high density low duration management protocol used during the grazing season that produces great results for the land and the animals. As a farmer, I would far rather see an elimination of the property taxes on trucks, tractors, trailers, 4 wheelers, tools, etc… These costs far exceed land use taxes. Jordon, thanks for taking the time to read the post and to post a comment. You make a very good point that the picture of mob grazing is incorrectly labelled. The farmer doing this said he was mob grazing but in fact was not actually carrying out the intent of mob grazing or good grazing principals. I will go in a fix that caption. Thanks. Also, you will be glad to know that Augusta County, Virginia did do away with the machinery tax for farmers. The arbiter of “well-managed” could be the NRCS, Soil and Water Conservation District staff or any other third party entity that was certified to do it. Thanks again for your well written comment. I understand the concept of “land-use” taxation Virginia offers, which is a reflection of the land’s productivity as opposed to the land’s fair market value. This provides the farmer with a substantially lower tax rate. Currently, the state of Virginia offers Agricultural Best Management Practices tax credit, Land Preservation tax credit, Fertilizer and Pesticide Application Equipment tax credit and Riparian Waterway Buffer tax credit. Would these state tax credits remain in effect on the tax free land? Furthermore, there are substantial federal tax credits, some transferable, for conservation easements, etc.. As an outsider, I wonder if it ever gets to the point where a line is drawn and enough is enough? Is it possible for a frugal farmer to make a nice income off the above credits before a seed is sown or a blade of grass is grazed? Augusta County is $61,500,000.00 in debt. With approximately 75,000 residents in the county, it would cost each resident $820.00 to clear this debt. Where would the money come from to fund “well-managed” open spaces? Should better fiscal planning be instituted before thoughts of reducing the county’s tax base are considered? I find your proposal a tremendous boost to farmers and the ecosystem. However, who should incur the cost in implementing, inspecting, maintaining and certifying “well-managed” farms? While tax free “well-managed” open space and the “Total Resource Management Plan” should incent farmers to participate in this program, there may be more far reaching considerations, such as funding. This is a very complicated issue with no easy solution for everyone to come out a winner. Whenever I see an issue that will ultimately involve legislative action by our government, I’m always reminded of one of our basic democratic tenets: Majority Rules Minority Rights. Thanks for stopping in Jeff and for your very good questions. You mention several tax credits available for landowners/farmers; remember they have to do something to get those credits and the credits are a fraction of the cost. I suggest we keep those credits in place because they are incentives for moving in the right direction, just like the green energy credits available now for solar panels. No, a farmer cannot make enough income from the credits you mention to make a nice income. And don’t forget all the subsidies big corporations, oil companies and other businesses receive. There are no big bonuses for farmers either. Augusta County has an annual budget, including schools, of around $150 million. It is a well run county and has one of the lowest per capita debt ratios in the state. Guess what the debt you mention is for – schools and sewer upgrades. According to my former county supervisor it costs “$8 to 10 million for an elementary school, double that to build a middle school and $40 million or more for a high school”. The Verona Waste Water Treatment Plant upgrade in Augusta County cost over $20 million. We have a school budget fight just about ever year. People with kids, teachers and others demand more from our schools as well they should. The tax rate in Augusta County is $.51 per $100 of value. It is one of the lowest in Virginia. But, when it comes time to pay for the services people demand…they don’t want to raise taxes to pay for it. As I mentioned in the blog, residential land-use is the most costly for localities to service and if you click on the “cost of community services” link, your computer will take you to a study conducted by the American Farmland Trust. They conclude (from studies all over the country including Augusta County) that residential property costs localities on average $1.16 for every $1.00 it receives in revenue. So, the take home point is that residential uses that demand sewer, water, schools, roads etc. should pay for them, not the farms and forests. I agree that it will cost money to implement the whole “well managed” certification process. Many of the aspects are already in place (click on that link) and Virginia is developing a process at this moment called “resource management plans” as part of the “Watershed Improvement Plan II” for the Chesapeake Clean Water Blueprint. CBF has hired me (with private funds) to be one of the third party verifiers for this process. Jeff, I believe we are merely taxing the wrong things and not giving value to our “natural capital”, those natural resources that provide us with clean water, air, wildlife etc. I’m reminded of another basic democratic tenet: taxpayers usually demand more than what they are willing to pay for. In the Foresty community, these third party groups already exist. American Tree Farm System (ATFS), Forest Stewardship Council (FSC), and Sustainable Forestry Initiative (SFI). While not the only certificaiton programs available to forest landowners, these are just an example of programs that address multiple resources within forested communities. Thanks for the post! 2. Mandatory best management practices enforced by law. It makes little sense to provide a carrot if there is no stick. The bad actors will remain and the streams, rivers, bay will still be polluted from ag, right? Our existing system has proven this, no? Lacking the above, well managed farms are not likely to yield the benefits you extoll. Finally, I think that development has to pay for itself and that means raising taxes and fees on developers and strictly enforcing land-use taxation laws (they just did so a couple years ago in Albemarle County). I agree completely!! The land parcels that are at ‘t’ actually saves the tax payers money and should not be taxed and maybe even get back a rebate and get money for their pollution stopping efforts! Good read. Your idea makes a lot of sense: it’s quite clear that incentives are an excellent way of changing the status quo, even in the most stubborn of individuals. However, I have some questions: how much revenue would the federal/state/local government lose in the short run with this program? I’m sure the benefits in the long run are insurmountable (not only in terms of monetary gain but also rehabilitation of the environment in both local and distant temporal scales), but would local governments with a limited revenue struggle at first? Good question. Yes, the local government would lose revenue but the point is: we need to tax the right things. It’s robbing Peter to pay Paul but I believe taxing well managed land is inappropriate. We should tax things that are harmful to society. This is an important issue for those who have to pay this kind of additional tax. I think that for this proposal to work there has to be a distinction between the land used for personal benefit vs the land that provides an environmental benefit. Once this distinction is made, the land used for personal benefit can be taxed at the current rate, while the land that provides all sorts of environmental benefits can cease to be taxed. As always you bring up some great points, but unfortunately it takes a lot of time for the government to see it the way we do and change some of their policies. In this case i don’t see any kind of of negative affect from enabling a change. We must continue to fight for change in our government. Buff, thanks for stopping in and providing some “rant”. I totally agree with you. Augusta County grouses around too with the notion that farmers are getting so many tax breaks. What’s worse is Staunton city council and the farmers there. We’ve been fighting for them every four years to keep their taxes appropriate. These farms were annexed and rezoned back in the 80’s. Thanks for the great article, Bobby! As always, I’m enlightened by your common sense approach to big issues. A well managed farmland gives innumerable benefits to the community. It provides clean water, wildlife habitat, carbon sequestration, protects soils…the list goes on and on. As concisely stated in the articles: “‘Well-managed’ farms provide far more ecosystem services to the public than they receive in public services.” Because of this, I agree with the idea that since this land is providing benefits to the community, it should not be taxed. A tax break would encourage farmers to have well-managed open spaces, which benefits their local economy and ecosystem. My favorite part of this article is the strong ending. I love Hugh Hammond Bennett’s quote. I agree that there really is no way to measure or test how helpful or beneficial a well-managed plot of land is compared to poorly managed plot of land. I think it is ironic how the fad right now to be “green” and to recycle but issues like well managed land are not getting attention because they are not as fashionable or glamorous. I wish there was an easier way to test the outputs of a well managed plot of land to propose to land owners the benefits of why they should take care of their land and to show that it is worth the efforts. Great article! Great idea Professor! I think you highlight many valid arguments in favor of tax breaks for farmers with well managed land. My favorite of these points is the money society actually saves from this land not being developed. Points like this that appeal to the greater masses; money talks. So, by addressing the issue on a fiscal level you have likely gained more support from those even outside of the agriculture arena by showing how they benefit from these tax breaks. Ultimately, I agree with your standpoint and hope to see these tax benefits in the near future, as they are rewarding the resource management practices that we have learned are so important. Tax incentives are yet another way to get farmers on board with proper management practices that can lead toward rehabilitation of our natural environments. I think you raised a very important issue that many farmers are currently experiencing. Your article reminds me of a debate that I’ve heard many times- working ON the land vs. working WITH the land. It’s important to distinguish between the two when it comes to this taxation policy. I agree with you in saying that if your land is well managed and providing the ecosystem services that we humans need, they should not be taxed. Treating those landowners the same as those who choose not to properly manage their land is unfair. This taxation policy, if reformed to focus on management, could be another push for farmers to reduce their impact and make smarter decisions. I think that this is a very interesting idea and that you support your position well. One way to implement it would be through a tiered system. There could be a “menu” of BMPs for farmers to choose from. Each BMP could be worth different amounts of points. The points would correspond to how expensive it is, how much impact it has, etc. Then, farms with certain numbers of points acheive the corresponding tier. Each tier could offer a different level of tax, with the highest tier having no tax at all. Overall, I agree that the avoided costs of well managed land should earn the farmers a lower land tax. Their positive contribution to the area’s environment should be rewarded. I think that this is a good idea because not only will the ecosystem benefit but many other farmers may see the benefits of “open spaces” and decide to convert their land to similar uses that benefit the environment. The benefits that well managed farms present far outweigh the benefits of farms looking to cut corners to make the most profit. If done correctly this idea will benefit not only the environment but also the economy as well. Im not quite sure where I stand on this. It is all great trying to improve farm land and help everyone in the process, but why do we have to tax everyone to do it. In class we already learned of a few ways in which farmers would be fully reimbursed and sometimes with interest if they improve their land. I even remember some program where the state would pay the farmers “rent” for the land that they improved to certain specifications. It might just be because i am not a farmer nor do i specifically know any people who farm for a living but I believe that not enough people know about these awesome programs available to help them help us. I think that if more people were aware of these management plans and what a good investment they would be they would be more eager to make the change. Well put professor Whitescarver. Why should a farmer be taxed if they are saving more money for the economy. Im sure if the government implemented this plan, they would be gaining more money than losing in the long run. Just like your idea, maybe farmers that have a poorly managed farm need to be taxed more. This way there will be a double incentive to have a well managed farm. This is a great incentive plan for reluctant farmers being dragged into the 21st century of responsibility but I believe that taxes should still be in place. Even if the taxes don’t go toward their farms they are still doing something good for your county and even state. Lowering taxes would be equally as enticing of an incentive as no taxes. I think if the rest of us have to pay taxes, why shouldn’t the farmers as well. We’ve learned in class ways that farmers can earn money on their land and change their environmental impact through help of the government so why shouldn’t they pay it forward. Great article, i enjoy reading them. I honestly would love for our local elected officials would understand the points and act accordingly. So much change would occur. Tax breaks or reductions for farmers with well managed farms would be awesome and would in return keep the farmers excited about managing their farm to the best of their abilities. These farms also provide a template of what other farms should be like and also boost the local ecosystem and economy if they are producing anything and selling it. Spot on Professor. I think you laid this issue out very well. I think its ridiculous that the government is going to do this to farmers. To me, it seems like another situation in how the government is just trying to take money from the people they govern, to support their shortcomings. I agree with you throughout this post and I truly hope that this will be a more wide-spread view as soon as possible. I think that this is a wonderful idea and should definitely be implemented. Not only would it save money for the farmer and eventually the government, but it would also further promote healthy ecosystems. This would, hopefully, get more farmers to take better care of their land and thus one by one would improve the entire area around that farm. I don’t quite understand why farmers are not already doing this, seeing as it is beneficial to help the world around you, but I understand that some people have not been shown the benefits of a healthy ecosystem yet and my need some more convincing. This is a very interesting point. I feel that the government officials who are in chrage of these decisions do not fully understand the impact that properly managed “open space” can have for the rest of the ecosystem, even somewhere as far as the Chesapeake Bay relative to Rockingham county. These land use managers (assuming they implement proper BMPs) should be at the very least, exempt from the taxes that correlate to their open land. In a perfect world they should be rewarded for their work to maintian the “upkeep” of our ecosystems. I think we could use several Bobby Whitescarver’s on The Hill. Well said as always, professor. Taxation is a tough topic to bring up, and more times than not someone ends up in an uproar. Those who are not farmers may feel as though they are not even being given a chance for tax breaks simply because they do not have farmland! However, like most issue, this too can be solved through the spread of proper education. once those who are not farmers could FULLY (and that’s the key) understand the lifelong benefits that come to them from well-managed farmland, only then will they understand that the benefits they receive from BMPs are far greater than receiving a tax break, at least in the long run. And that’s the direction of thinking this country and this world needs to head in–thinking in long-term. Very interesting take professor Whitescarver. I do think that there should be incentives for the total productivity of land, especially if there are clear benefits to the ecosystem and society as a whole. Farmers go through a lot each year to maintain farmland, and don’t necessarily see much revenue in return. This would be a nice way to cut the cost and make it more of an incentive to maintain the land and slow development in areas that are prime farmland. I definetly agree that farmers who use their land responsibly and actively should not be taxed when they have the potential to offer so much to the environment. Large plot land owners with mowed grass contribute little, if anything, to the environment, yet they are not taxed because they are not actively using their land. A land tax, from an ecological position, should be enacted only against those who either harm the environment or fail to contribute to the environment. This makes sense because, in the long run, land that is not properly cared for loses value through erosion and poor management. Having sense riparian buffers and natural weed plots raise the value of a piece of property by improving the soil quality. Professor Whitescarver, you are always bringing up very interesting points when it comes to land use. I agree with you that farmers practicing best management principles should be rewarded for their effort. You cannot effectively incentivize best management practices if those who did little to no land management are able to avoid land use taxes. Maybe everyone should have a land tax, but implementing techniques benefitting the environment should result in lower land taxes for that landowner. Great piece! I pretty much agree, but question how it will be done. I believe this would answer a lot of environmental problems and could save a lot of money in the long run for the farmer and society who’s taxes pay for the cleanup of some of these major waterways and rivers. Just because I agree does not mean I understand exactly how it would be done. For a plan like this to happen you would need to determine a way in which you could deem ‘poor’ land to be ‘good’. this might involve quantifying BMP’s, and adding a multiplier for things such as land area in which the BMP is applied. After it meets its land area requirement then a water test would be carried out as the final test. This would be a very intensive process, and is a possible solution. I think this idea makes a whole lot of sense and would encourage people with open space to better manage their land and improve over all soil health across more land. I think our economy needs to change to factor in the worth of these ecosystem services as well as account for other issues such as price vs. cost. Environmental costs should be included in the prices of things such as gas. Similarly the environmental benefits of well managed land should be considered when making taxes. great article! This is a great article that provides a very interesting way of maintaining our lands. A lot of people do not realize the expenses going into developing lands nor do they realize the benefits that are lost along with the “well managed” lands. I feel it is very important to increase community awareness of this incentive plan, especially the benefits that come along with it. Education is an extremely important step when dealing with ecological benefits provided to our society, and sadly not enough people know this. I would like to see this plan implemented large scale to maximize community benefits and awareness. Hopefully this will not only lead to farmers making sure their lands are “well managed”” but will make people think about where their money is going. Excellent article Bobby. I find it shocking that incentives don’t exist already for proper land management. From my perspective i consider proper land management to be of great importance and i would expect the government to view it in the same light. Influencing landowners to properly manage their land would result in less polluted waters, a cleaner atmosphere, and healthier soils for future use. Certified individuals could inspect properties for proper management practices and decide whether to award land owners depending on how much ecological services the land is providing. In turn this would offer jobs for ecologist and people of related of fields. Perhaps this would also reduce the amount of land conversions taking place for commercial purposes. Julio, thanks for your well thought out comment. Looking forward to meeting you on Wednesday. I agree that landowners should receive incentives for leaving land alone, but how do we go about establishing a system for assigning value to “open-land”? 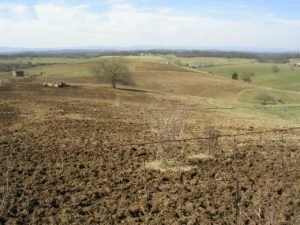 Especially since “well-managed” farmland can include open fields that are far less ecologically beneficial than the forest that existed before the farm. Walter, thanks for you comment and questions. There is already a system for assigning value to land using the productivity of each soil type. And as you suggest, different land uses do have different levels of ecosystem services. I would argue though that wetlands or native prairie or other diverse ecosystems are just as beneficial as forest. We need all of them and we need land that produces food for 8 billion people. Interesting article! I think when the public is educated on what specific ecosystem services a land can provide, they will be more interested in fighting to support your plan Bobby. I’m curious to see if your proposal is implemented, would farmers who do not have “well-managed” land take the extra step to do some conservation planning? I understand that the incentive of not having to pay a land-use tax is probably pretty substantial and influential, I’m just wondering if it would be enough of an incentive. In regards to educating the public on the matter, I think the first step would be to inform them of the resources they use on a daily basis, where those resources come from, and how ecosystem services ultimately produce the resources they value so much. Sabrina, thanks for you comments. Well done. Looking forward to meeting you on Wednesday. I think that this idea of putting value to our land is a great idea. Currently, we only put value to things that we want such as the crops that the land provides; however, by doing that farmers may cut corners in order to have the higher profit rather than managing and taking care of the land. I think that by giving the farmers an incentive it would definitely increase the quality of the land that provides the food we eat. It would increase awareness to what they are doing and putting on their land and it would benefit the communities that surround their farm land because they could have cleaner water. I think this is a step in the right direction towards making our farmland healthier, the communities around them healthier, along with making the farmers and the community more educated about the benefits to well managed lands. I only wonder why this isn’t being implemented everywhere. This seems like such a simple and great idea. Is there a reason why this hasn’t been implemented? Alissa, thanks for you comments. To my knowledge this is not being implemented anywhere. It is very difficult to change entrenched ways. It’s like a swimmer trying to change the direction of a battleship. There is currently a law on the books in Virginia that allows localities to exempt riparian forest buffers from taxes but not one locality has done so. I am in agreement with your arguments. I wish to see a greater number of incentives introduced within the near future. I think there are a lot of great programs already up and running, yet in this day and age it seems hard to trust an alliance without wondering what they are actually gaining by offering such compensations. As well as a tax break, I believe some farmers should qualify for additional payments (depending on the ecological role/ responsibility landowners are actually implementing). Chelsea, thanks for your wonderful comments. I agree! We have a “green payment” program in USDA that gives farmers payments for wildlife habitat, buffers and carbon sequestration. This program is called the Conservation Stewardship Program. Here’s a link to their homepage about it. Let me know if that link does not work. This is an interesting perspective, Bobby! agree that the government should encourage farmers to keep their land well managed to encourage a healthier environment and it does not make sense to tax farms that already do this. If there was a way to implement this idea of well-managed open space on a broader scale, I wonder how effective it would be for restoring ecosystems, such as the Chesapeake Bay because there are so many different things that pollute that ecosystem. I think it would be interesting to see the difference well-managed land can make on our environment as a whole. Maybe if this information was presented to show how well used land can make the environment healthier, a larger movement could start that encourages environmentally beneficial land use. Ashley, thanks for you well thought out comments. You are so right in that many different things pollute the Bay. On top of that is the fact the urban pollutants are much more expensive and complicated to correct than agricultural or “open-space” issues. Hi Bobby, looking forward to meeting you on Wednesday! You mentioned in a comment that a way to assign value to land is by using the productivity of the soil type. If (and hopefully when) this well-managed open land tax exemption is implemented, perhaps whether farmers receive the tax exemption should be weighted more heavily on their land management practices than the value of their soil. Farmers in areas with naturally poorer soils would take longer to increase the productivity of their soils and meet the ecosystem service threshold that would allow them a tax exemption than another farmer in an area with better soils. If the farmer in the poorer soil quality area has been putting effort into changing their soil quality for a while, they should be incentivized to keep going. Also, you said that VA has a law where riparian buffers can be exempt but no locality has done it yet. Does that mean that a city or county has to decide to allow the exemption before a farmer can claim it? Why can’t the individual farmer claim it? Are there other taxes on farms that you think should be changed? Dot, thanks for your comments and questions. The productivity of the soil is only one factor that should be used to reward stewardship. Another concept that maybe you have heard of is making sure soil erosion is at or below a sustainable level. Soil Conservationists call this “T” or the “tolerance” level of soil erosion. Another way to put this would be “soil health”. They way I put it is this: No erosion and pump that soil with carbon. Taxes…hhmmm, it’s complicated. Localities in Virginia receive most of the revenue from real estate taxes. The state legislature grants localities the ability to exempt from real estate taxes, riparian forest buffers. I don’t think localities do this because they don’t know about it or they don’t want to give up the revenue, or they just don’t want to deal with it. There are other taxes that need to be changed. The “death tax” for example. I think that a tax exemption for farmers who are making an effort to provide ecologically sound services by their ‘land-use’ is a fantastic idea. This is an entirely logical argument considering the ‘well-managed’ farms are facilitating an enriching environment, which is beneficial to society and the ecosystem as a whole. Would you propose an all or nothing strategy for the tax exemption? For example, if out of the total resource management checklist, they only provided two or three of the total services. Would they still be given the tax break or only a percentage of the tax break? Katherine, good suggestion. I think there needs to be a minimum standard, once this threshold is met…they pay no real estate tax. If they go beyond the threshold…they start receiving “green” payments. I think your concept of not taxing well-managed farmland is a great one. If farmers make the effort to keep their land well-managed (by reducing erosion, improving soil health, increasing carbon sequestration, etc. ), they should be compensated accordingly. The farmers that do not have well-managed land should be educated or provided the resources to change that, because in the end, it is beneficial to all of us. It is also logical for those that do not want to make the necessary changes to continue to pay for their land-use. I am curious though, as to who would make the decision if land is well-managed or what specific criteria farmers would have to meet. For example, should a farm be only considered “well-managed” if they sequester a certain amount of carbon per acre of land? How should ecosystems services quantified? When deciding whether or not a farm is taxed for land-use, is it necessary to have these specific criteria in place? Nevertheless, I do strongly agree that those farmers practicing sustainable agricultural practices should be rewarded, or at least should not be taxed for their open space. Thanks for your time! Kelly, you make good points here. Methods to evaluate and measure sustainability are extant. One of these tools is the “Revised Universal Soil Loss Equation” or RUSLE. The current version is RUSLE II. You can google it to find out more about it. I would propose that local Soil and Water Conservation Districts be in charge of verification and have a third party verifier spot check the Districts. This is a very good idea. I know that the Soil and Water Conservation Districts and NRCS offers tax credits and cost-share programs to mitigate the cost of fencing for cattle exclusions, planting of a riparian buffer, and the planting of cover crops to protect the soil. I am absolutely for any incentive plans that encourage farmers to create and maintain “well-managed” lands. Moreover, I agree that properties that put the public and natural resources into maintaining large, unnatural green lawns (lots of land that serve only aesthetic purposes) should be properly taxed an amount that represents the strain they place on public and natural resources. But I have a question. 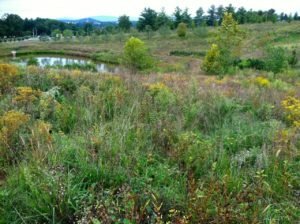 I see the picture of a native meadow at Martha Jefferson Hospital that functions as a buffer for the stream and a pollinator corridor. Through my studies and volunteer work I have observed several riparian buffers planted as part of a Conservation Reserve Enhancement Program. However, none of them have display close to the same amount of heterogeneity. Rather they consisted of all saplings or some saplings dispersed among one or two species of tall grass. In other words, I do not think that these created riparian buffers provide nearly the same degree of ecosystem functions like preventing soil erosion and absorbing runoff as natural riparian buffers do. So my question is, do these created riparian buffers provide enough ecosystem services to warrant the land owner being paid for them? Joseph, good questions. Well, the CREP planting are supposed to be doing that. We have failed in Virginia to nurture these planted stream-side forests. We put a lot of money into planting them and then we walked away thinking that inserting a native sapling into a sea of invasive, non-native grasses would thrive. There was little to no money for management. We have learned a lot since CREP began in 2001. More later. This is a beautiful model for the future! do you know of any places who have implemented this system of non-taxation on well-managed areas, or of places who have similar laws in place? have they benefited from these policies? Alan, thanks for stopping in. I do not know of any locality that has done this. As long as the parameters for well-managed farmland are well defined, I support the idea they shouldn’t be taxed! There are always those who squeeze by the line and get benefits they don’t deserve, but overall I believe not taxing farmland and forests and such would bring more good then harm. I agree that open spaces, if managed correctly, should not be taxed at all. If farmers and land owners are providing ecosystem services willingly then it’d almost make sense to give them tax breaks, or credits. If there was more focus on what ecosystem services and total management plans can do to benefit the economy, then I believe that many would see a need for reform. Best management practices for land which directly impacts water supplies can create cheaper treatment facilities for drinking water and less intensive machinery. That is only one benefit of many. Like I always say, educating people on the issue is the only way to create a change. I completely agree! Landowners should receive credits for all of the ecosystem services their lands provide. Farmland enriches and adds so much the surrounding area; it provides wildlife habitat, hydrologic aid (including clean water) if a riparian buffer exists, and more. I believe that well managed land should not be taxed, considering that the farmland contributes to the area’s economy and environment. This article was an interesting read. I thought Hugh Bennett’s quote saying that because society benefits from the farm land the society as a whole should help pay for that land. The only thought I have with that is that if we are helping pay for that then don’t we own a certain portion of that land? Just a thought, but I agree with the idea of farmland being tax free if they are actually improving our ecosystems. I feel like the incentive of being tax free would be enough to encourage most farmers to do what was necessary to ensure that their farm was a well-managed farm as you defined it in this article. This is a huge topic that should be conversed more. I never hear about these kinds of ideas being tossed around by congress. Is this being done anywhere in the united states? Joel, nice comment. No, I don’t hear congresspeople talking about it either. I do hear rumblings of a tax system to reward good stewardship. This is a very logical and beautiful proposition, professor Whitescarver. It will certainly incentivize farmers and land-owners to be responsible and sustainable and discourage poor land management. I agree with the notion of well managed space not being taxed. If the space is well managed and supporting healthy ecosystems surrounding it, then there should be no tax to the land. The only thing that I am truly pondering over of is how would we be able to determine if a farmers land is “managed well”? Would soil or water samples be collected from his property and have be lab tested? Great question Grant. There is a way to do this. Virginia has a “Resource Management Plan” program. In order to qualify the farmer has to be down to “T”, fence all the perennial streams, implement nutrient management…it’s all there. All we have to do is implement.